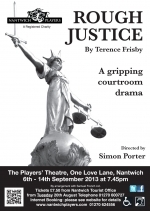 ROUGH JUSTICE by Terence Frisby. James Highwood, the host of a popular television programme called 'British Justice', is on the stand at the Old Bailey, accused of murdering his severely handicapped child. He refuses his solicitor's plea to obtain legal representation and conducts his own defence, admitting responsibility but pleading manslaughter. His claim that the jury alone is responsible for the verdict brings him into conflict with the judge, while his battle to have his intentions understood brings him into conflict with the prosecutor, a well-know Catholic pro-lifer. There is also the question of whether Highwood actually killed his child after all. 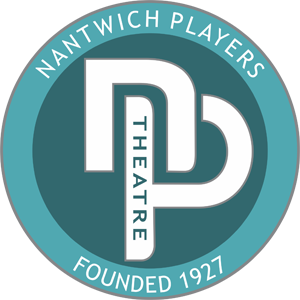 Directed by Simon Porter, performances will be at 7.45pm, 6 - 14 September 2013.